Arduino Love electronics RTC – DS3231 wiring example and tutorial. As you may be aware from my previous post I recently was in the market for a more accurate replacement for the DS1307 RTC clock. I tried with a DS3234 but its SPI interface made it unsuitable in my project (running out of pins). All i was after was a simple breakout board for the DS3231 I found the chronodot but its presoldered pins, lack of stock in/transport costs to Australia (As per normal) and their overly complex setup (for my use anyway). 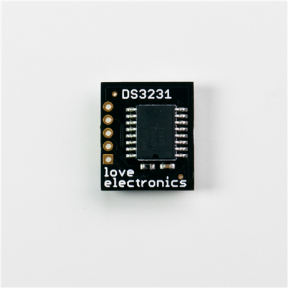 I came across a UK based website called loveelectronics.co.uk . They have a perfect little DS3231 breakout board. 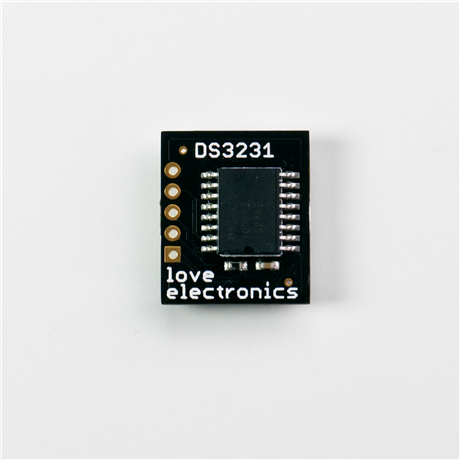 The bonus of this DS3231 board is its improved accuracy over the DS1307 but still using the I2C interface that the DS1307 uses. In short any code that works with DS1307 should work with DS3231 without any changes. One downside of this kit is that it doesn’t come with a coin battery but this is a minor issue. ENSURE YOU HAVE A BATTERY IN THE HOLDER (EVEN IF FLAT), OTHERWISE YOU GET STRANGE RESULTS. So with that out of the way let me give you a quick tutorial on getting this chip running, first the cabling. So before I ran this code I removed power and battery so I reset the RTC to 0:0:0 0/0/00. So there we go its now ticking away. This is a great basic method but I wanted something a bit nicer and easier to work with. As my previous post I am once again going to use the RTC library changed by manicbubg forked from adafriut. Again this is a little bit further on than the original RTC library sent out in 2010. As you may have seen before this one library allows you to interface with a DS3234 and a DS1307, as i said before DS3231 works exactly the same as the DS1307 so its perfect for us. You can jump onto the github service and download a .zip of the current release or you can use the copy that I’m writing this tutorial with (so it should work) here. Extract the folder inside the zip intoyour arduino\libraries\ and rename the folder to “ManicbugRTCLib“, If you already have the generic RTClib installed it is best to move it out of the libraries folder(Otherwise it could call the original RTCLIB). Restart the Arduino software. With a new sketch paste in the following code, Alternatively you can go file -> examples -> ManicbugRTCLib -> DS1307 (Read after my code paste to see changes I have done to the standard example). This code gets the time off the DS3231 module and then the time the sketch was created then compares the two dates If it finds the RTC’s date is earlier than the date the sketch was created it updates the time to the sketch compile date. 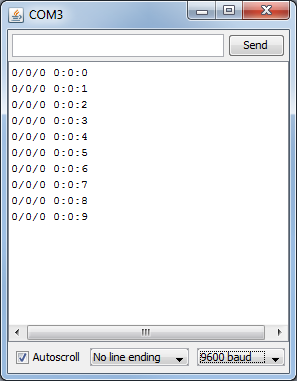 This is how you can be a few seconds out from actual time due to the time it takes to flash the Arduino. So here you can see that the clock has been set as it saw that the previous time was earlier than todays time. I think I will continue to use this chip and breakout board, with the above library. I hope this blog post helps someone get started with an RTC, chuck me a message telling me what you use it for. ← Older: DIY Timelapse Dolly rig powered by Arduino and OpenMoco Part 1. When I read the DS3231 datasheet it states the range for this value in the DS3231 register 03H is 1 to 7. Are you actually running it as 0 to 6 successfully? 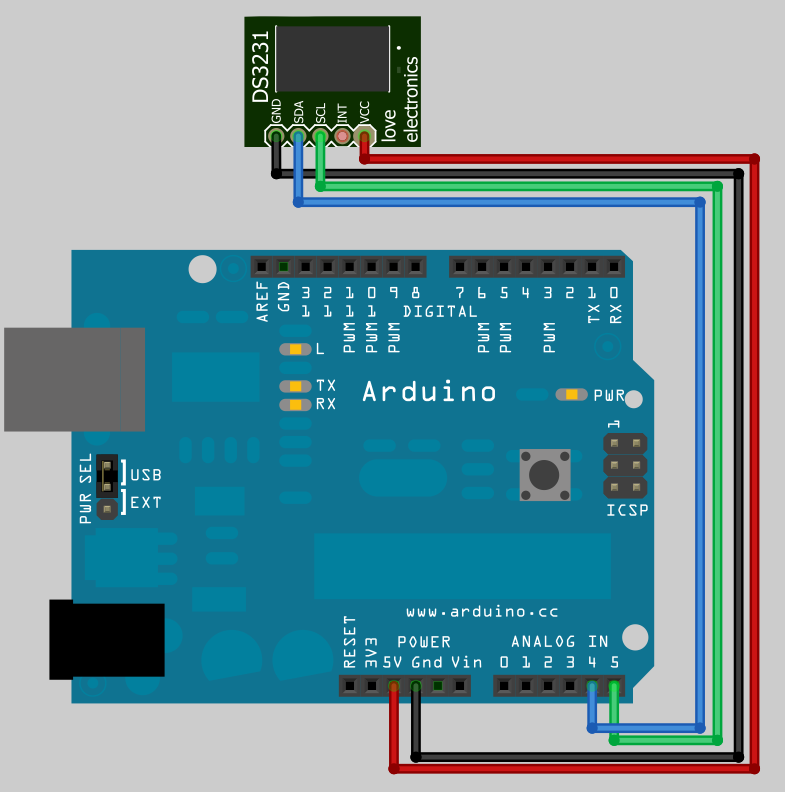 thanks for this example (DS3231 wiring example and tutorial), which helps me a lot (as a newbe….). 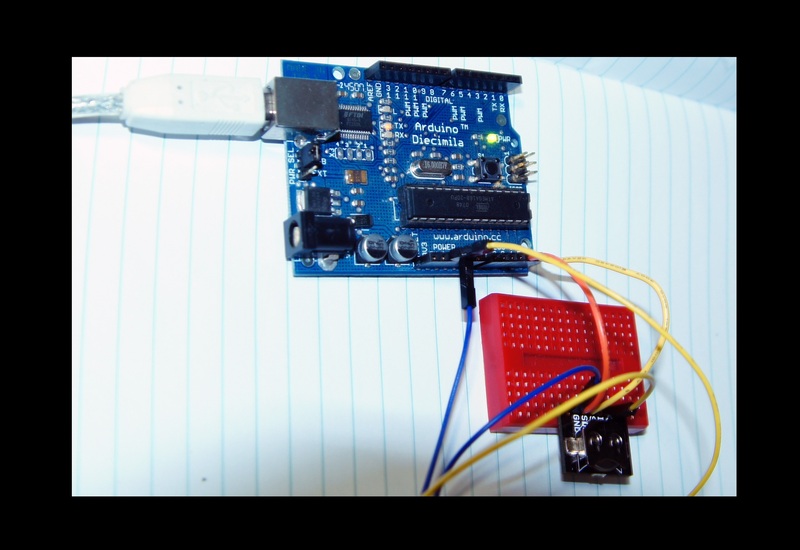 I have the following question: line 15 in your second example (“DateTime compiled = DateTime(__DATE__, __TIME__);”) is not recognised by my Arduino 1.02 setup, it seems to have a problem with __DATE__ which gives me an “Error – __DATE__ was not declared in this scope”. hm, found the cause of the error…., makes me think…. Thanks again for the code! You said “DS3231 works exactly the same as the DS1307.” Well, one difference between the two is the register where the RTC oscillator control bit is located: DS3231 location differs from DS1307. That’s why If(! RTC.isrunning()) doesn’t work on a DS3231 using the DS1307 libraries. Is this a known difference? Hope this topic is still monitored? Sorry, solved my problem. 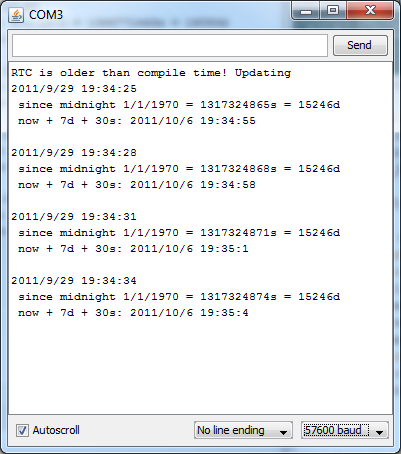 The RTC.Adjust method wasn’t setting the day of the week when using the compile time to set the clock chip….